Before we begin, let’s get to the first factor: order through Collect+. Not only can you pick up your parcel at your convenience (bobbing to your nearest Collect+ point after work is far easier than chasing up the delivery company after they leave a little screwed-up note through your door. Trust me, I’ve been there), but you also get the benefits of not jostling through savage sale shoppers when all you want to do is drink a glass of pink gin! Okay, now that fundamental rule has been established, let’s move on to the others! 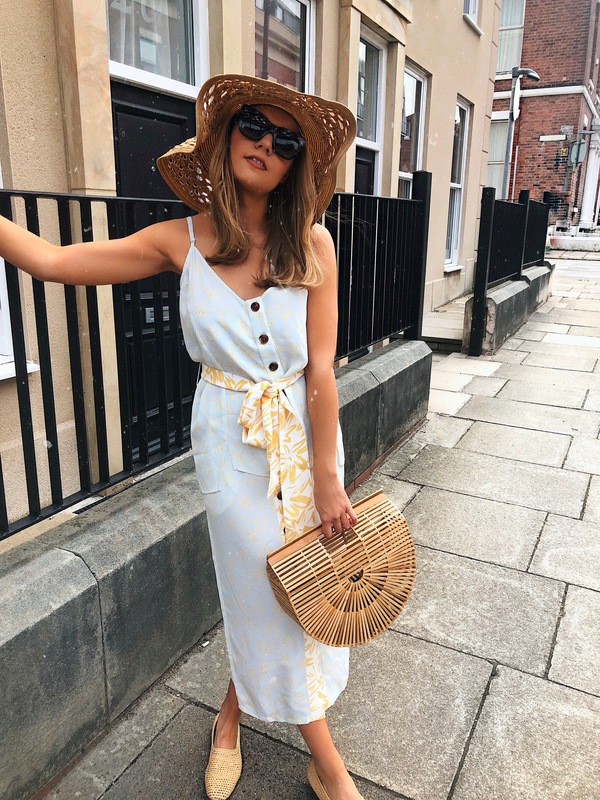 While it’s all well and good to be an attendee of three weddings, a Christening and a wild 60th birthday party this summer, chances are, the high cost of millennial rent doesn’t allow you to spend £50 on a dress for each occasion. But savvy shoppers will know to bide their time, forget the panic of outfit planning and purchase a few last-minute bargains before party season officially begins. It’s time we quashed the old wives tale you can buy one LBD to last you all year and no one will know you’ve worn it ten times if you change your shoes and accessories… Rubbish! And let’s face it, variety is the spice of life (and a new dress is always a confidence booster if you’re single and seeking out that tall, bearded groomsman…). Waiting for the sales to hit is the wisest decision when it comes to occasion shopping because 1) The prices are lower (obvious winner), 2) you won’t be disappointed the dress you bought in March is now 50% off, 3) occasion dresses tend to be on the dearer side so a good ol’ discount is very welcome, and 4) you can stock up on a few dresses for the price of one non-sale item, meaning you’ll be ready with a new outfit for any last-minute functions calling your name! The sales are a great time to play about with a few new season trends that you’d otherwise avoid. Always sticking to your fail-safe jeans and tee combo? It’s time to ramp it up and ditch the trousers in favour of a patterned midi-skirt. 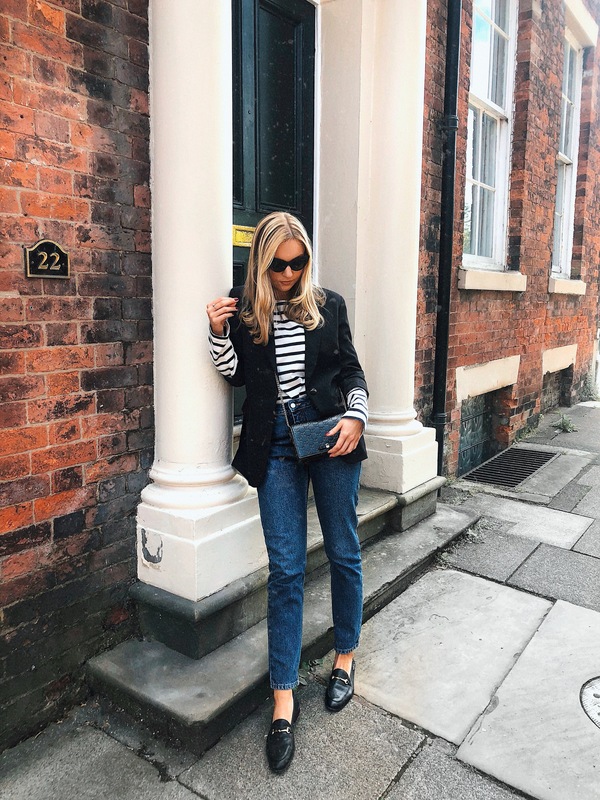 Okay, so you may not wear it quite as much as the Levis that you’ve managed to split the seams in, but who cares if it pushes you out of your sartorial comfort zone and gives you a bit of that fashion buzz?! Shop around for the trends you’ve wanted to try but not wanted to invest in and seek out a bargain. 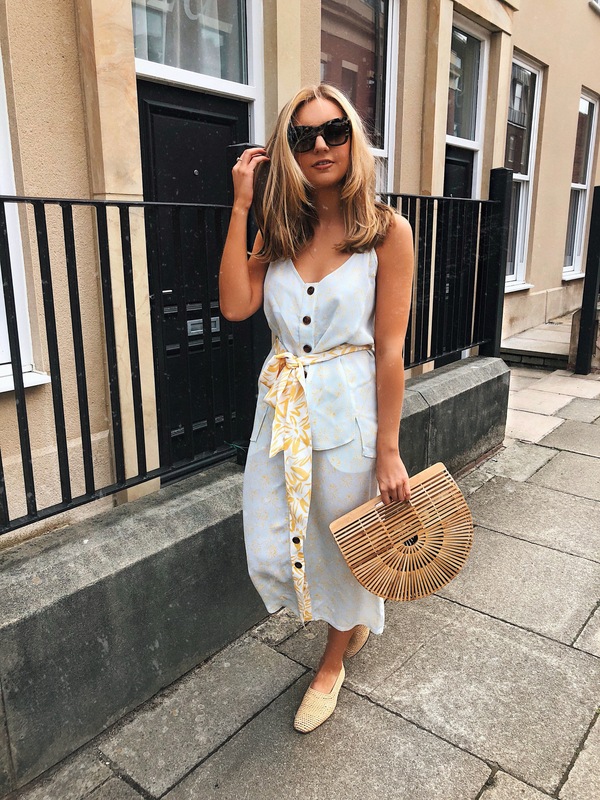 Dipping your toe into trends via the sales means that if it’s not for you, you’ve not wasted your money, but if it is, great, you can go and get five more in the rest of the sales!!! What I’m Wearing: Tick three trend boxes in one with this matching ASOS WHITE midi skirt and cami set. Co-ord, CHECK! Button-down, CHECK! Patterned midi skirt, CHECK! Ding ding ding, I think we have a winner! 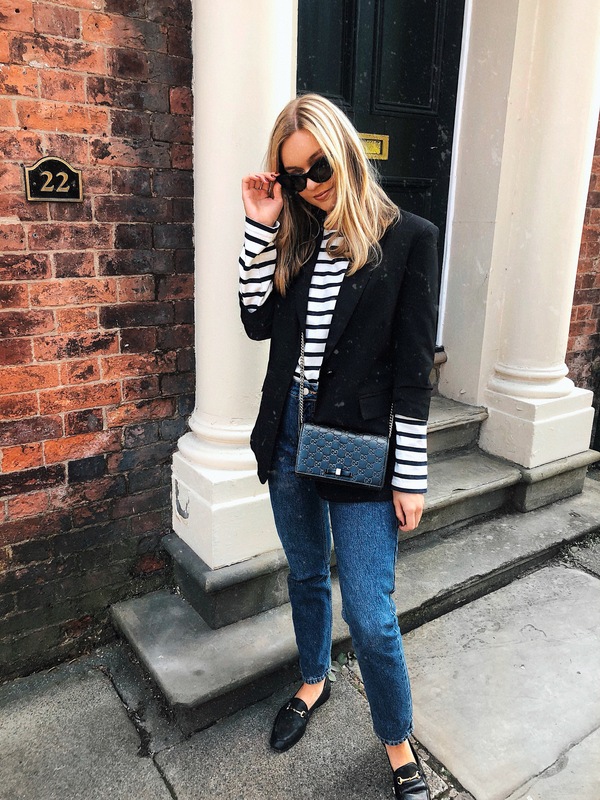 Do you spend the year desperately needing a staple piece in your wardrobe but never buying it? 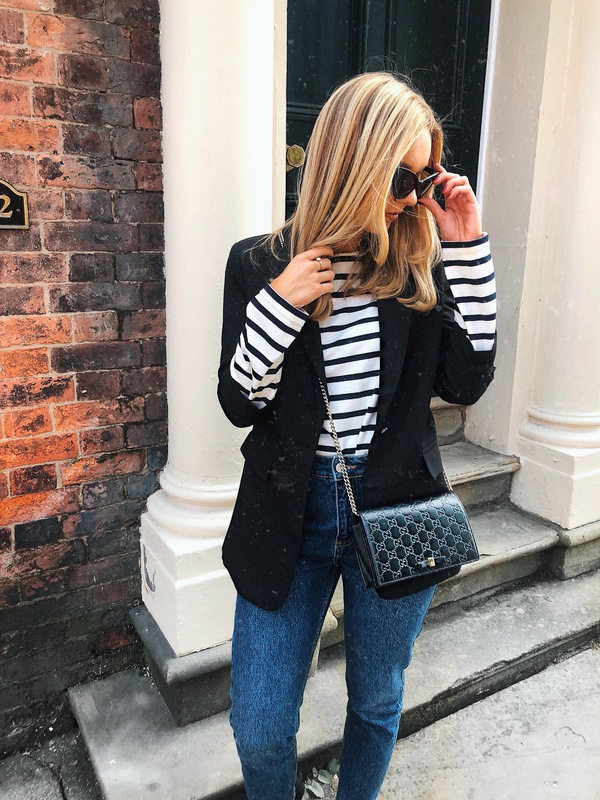 Turning to your closet and thinking; ‘if only I had the perfect black blazer to go with this!’, but avoid actually seeking one out? Yeah… Me too! Use the sale period as a time to finally purchase all those things you put off the rest of the year. Blazers can be a necessary evil: expensive but also the glue that holds your wardrobe together. But in the sales, lower prices mean you can afford something a little more luxury for less! What I’m Wearing: Always invest in a classic black blazer like this Amy Lynn tailored blazer. It will save you from countless closet conundrums! Order with Collect+: it’s the easiest guarantee that your parcel won’t end up with the neighbour’s cat! And you can pick it up at your own convenience (instead of elbowing through crowds on a hot Saturday afternoon). 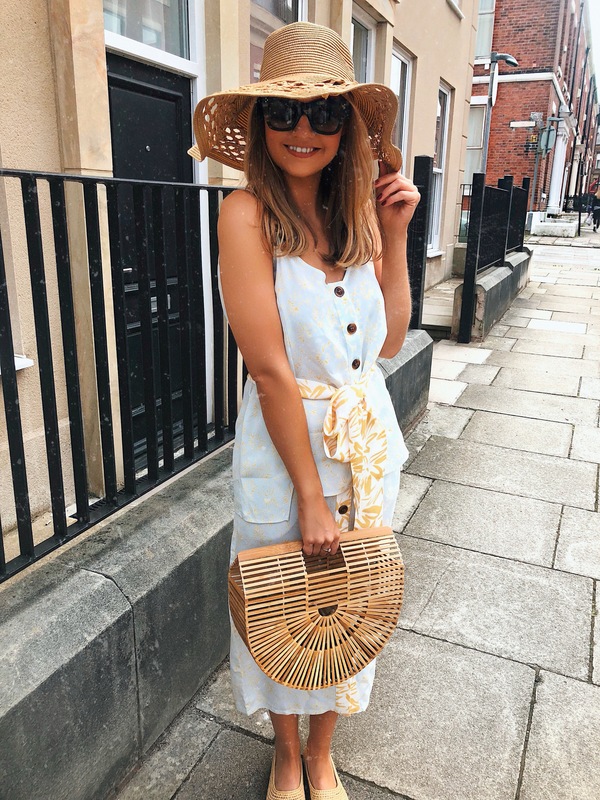 Always filter your searches: I can’t count the amount of times I’ve started scrolling through the thousands of sale products on a website, finding items I love to realise that they aren’t available in my size. Filter through your size, eliminate the products you don’t want and don’t forget to get rid of additional factors (i.e. you don’t want to be perusing through the ‘Tall’ section when you’re 5ft 2″!). Purchase workwear: if you begrudge buying office gear at full price, use your opportunity to get good quality work pieces at lower prices. Don’t buy just because it’s in the sale: I’ve often made the mistake of purchasing something just because it’s at a really low price. Usually I never wear them and a couple of years later then end up in a bin bag after an annual clear-out! This post is in sponsored collaboration with Collect+.